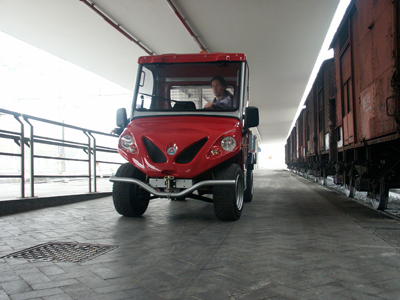 Electric platform truck to handle goods in all industry sectors. 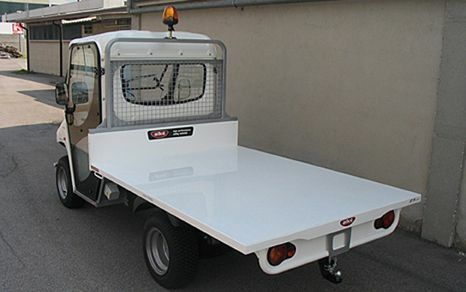 Alke's electric platform truck is a vehicle used to handle goods in all sectors, particularly suitable for transport purposes in closed facilities thanks to its fully electric traction. 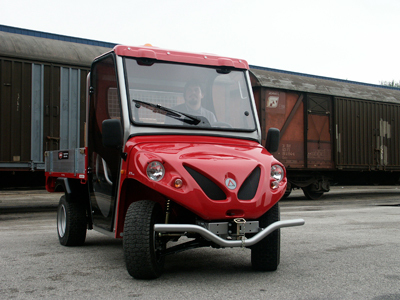 Alke's electric platform truck can pull one or more trolleys with a towing capacity of up to 3000 kg. 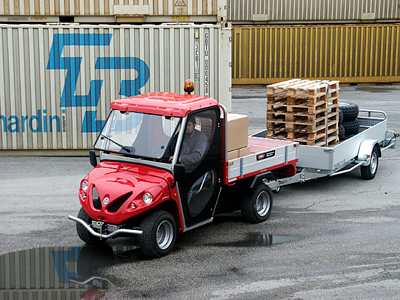 Although very compact, this electric platform truck can carry up to 1000 kg. It is ideal for carrying a wide range of industrial goods from warehouses to production units but also in airports, railway stations or in the public sector. These logistics vehicles can cover a range of 130 km with pure lead batteries and they can be fitted with an additional removable battery pack to allow for 24/24 operation for continuous cycle applications, as in the case of some production plants and in airports. 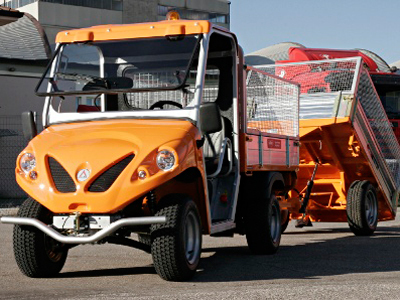 These professional electric vehicles can also be fitted with one or more trailers with steel sides or raised side panels, depending on the customer's needs. 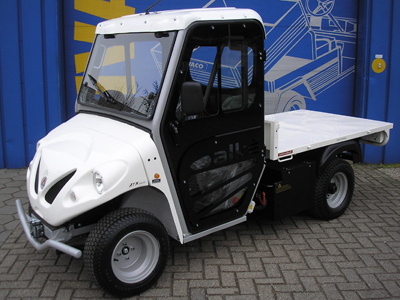 There are various electric platform truck models by Alke' the best suited one for use in heavy-duty continuous conditions is definitely the ATX240E, made with first-class technical solutions derived directly from the world of forklift trucks.